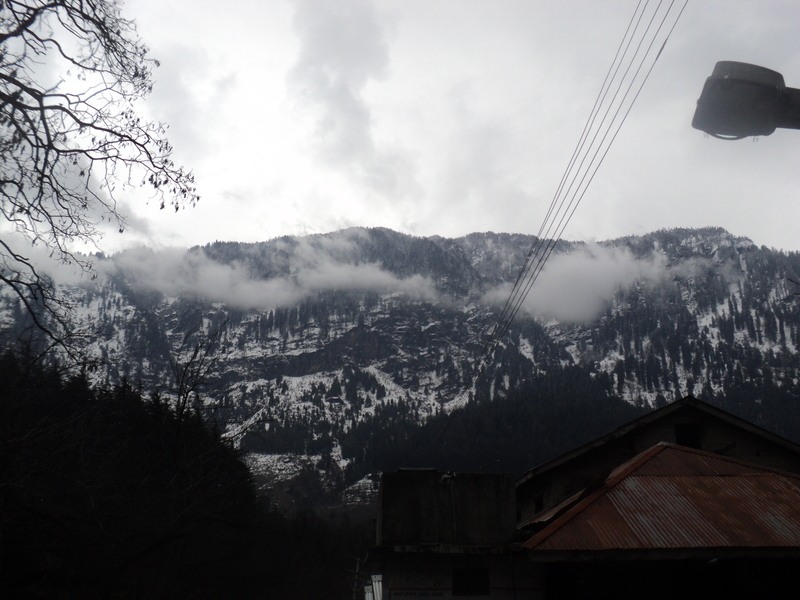 Location – Manali ( A Hill Station in Kullu District). A Picture Clicked During My Visit to This Place. Location – Barshaini ( A Nice Place For Trekking ). A Picture Clicked During My Second Visit to Barshaini. Few scientists are betting against Einstein yet, but the phantom neutrinos of Opera are still eluding explanation. Two months after scientists reported that they had clocked subatomic particles known as neutrinos going faster than the speed of light, to the astonishment and vocal disbelief of most of the world’s physicists, the same group of scientists, known as Opera, said that it had performed a second experiment that confirmed its first results and eliminated one possible explanation for how the experiment could have gone wrong. But the group admitted that many questions remain. “This is not the end of the story,” said Antonio Ereditato of the University of Bern in Switzerland, the spokesman for the collaboration, explaining that physicists would not accept the result that neutrinos could go faster than light until other experiments had come up with the same conclusion. “We are convinced, but that is not enough in science,” he said. Other physicists said they remained skeptical that the universe was about to be overturned. The speed of light was established as the cosmic speed limit, at least for ordinary matter in ordinary space, in 1905 by Albert Einstein’s theory of relativity (now known as special relativity), foreclosing the possibility of time travel into the past or of timely travel to other stars. Neutrinos, though ghostly in many regards — they are able to traverse planets and walls of lead like light through a window, and to shape-shift from one of three varieties of the particle to another along the way — are part of the universe, and so there was no reason to expect that Einstein’s stricture should not apply to them as well. But over the course of the last three years, in experiments designed to investigate this shape shifting, neutrinos produced at CERN, the European Organization for Nuclear Research, and beamed underground to the Gran Sasso National Laboratory in Italy, an underground facility about 450 miles away, arrived about 58 billionths of a second sooner than would a light beam, according to Opera. The group is based at Gran Sasso, which is near L’Aquila; CERN is in Geneva. When these results were presented to a meeting at CERN in September, after a prairie fire of blog rumors, they were greeted by fierce skepticism. Among the problems with the original experiment, scientists said, was that the neutrinos were produced in bursts 10,000 billionths of a second long — much bigger than the discrepancy in arrival time. Last month CERN retooled so that the neutrinos could be produced in shorter bursts, only 3 billionths of a second long, making it easier to match neutrinos at Gran Sasso with neutrinos at CERN, and the experiment was briefly repeated. The neutrinos still arrived early, about 62 billionths of a second early, in good agreement with the original result and negating the possibility, the Opera team said, that the duration of the neutrino pulse had anything to do with the results. In the meantime, Einstein sleeps peacefully. Dr. Learned and Dr. de Rujula both said there were no convincing theories out there yet. “The theory papers are amusing in that it more and more points out how very much trouble this result will cause, if verified,” Dr. Learned said in an e-mail. Kheer Ganga(somewhere in kullu valley). I have been to this place with few of my friends. 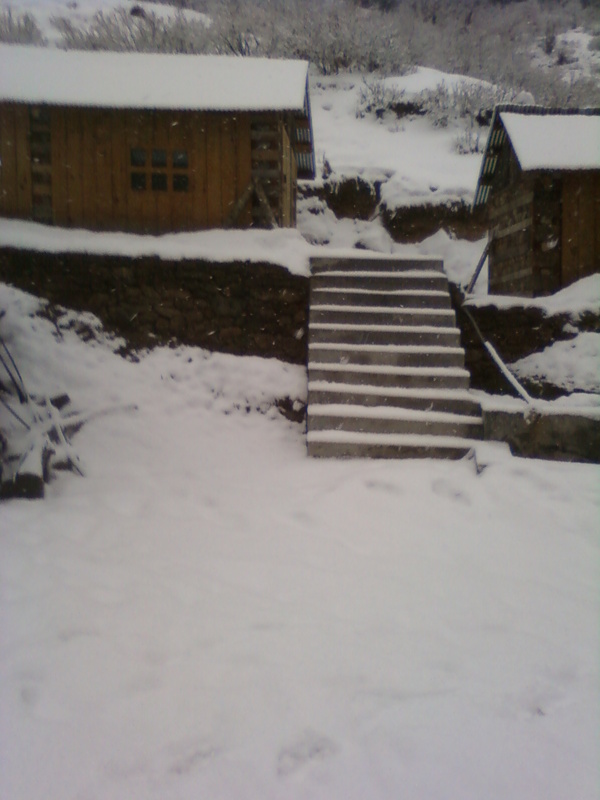 The Trek was really difficult to travel but we made it safely. 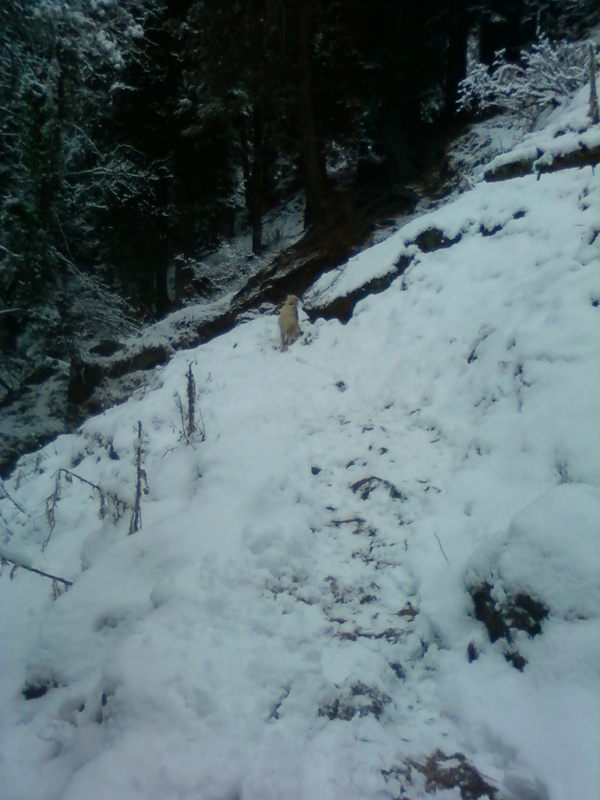 There was fresh snowfall all over the way and it was really difficult to walk on this trek at that time. We reached Kheer Ganga almost at evening. There was hardy any network coverage in our mobile phones at this place. We were cut off from the rest of the world. In the morning, it snowed again. That was really an amazing experience, like we all were in a different world. These are the wooden lodges for travelers, we stayed in it. There’s a hot spring behind this lodge. You can see that in first picture. Then you can try our rental services, we offer great rental deals in Chandigarh, Mohali, Zirakpur and Panchkula. This is just one of the amazing view I have witnessed. 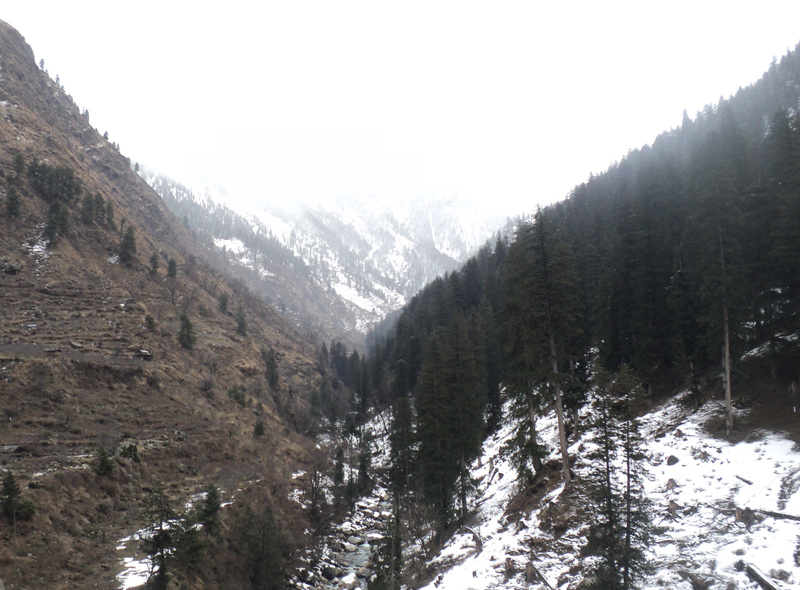 It’s a place a few miles from Manali(Himachal Pradesh, India). I was heading towards Solang Valley from Manali with few of my friend and on the way to Solang Valley we had a pleasure to watch this amazing view. A day spent in the lap of mother nature. I have been to this place with some of my friends. 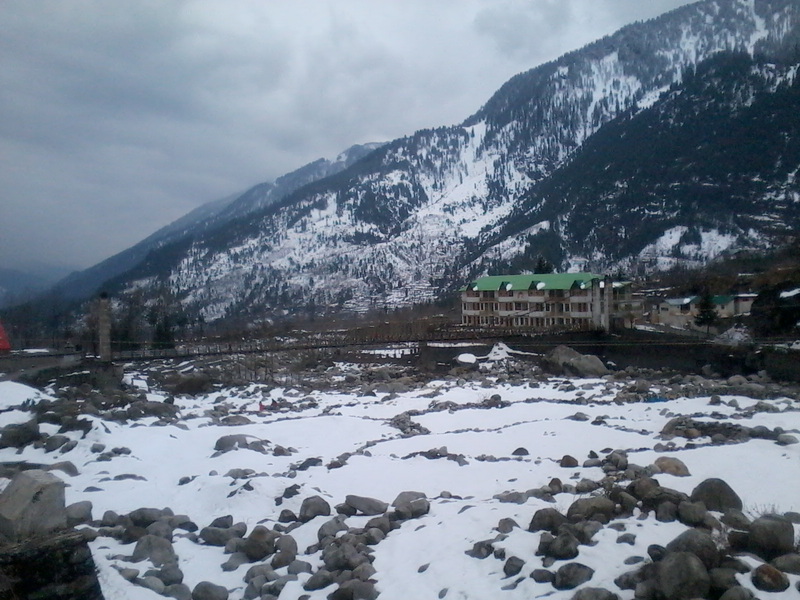 Solang valley, I have been to this place in the month of February of this year with some of my friends. It’s just amazing to spend some time in the places like this which are incredibly beautiful and serene; and I like to spend some time in places like this whenever possible. It is a side valley at the top of the Kullu Valley in Himachal Pradesh, India 14 km northwest of the resort town Manali on the way to Rohtang Pass, and is known for its summer and winter sport conditions. Giant slopes of lawn comprise Solang Valley and provide it its reputation as a popular ski resort. Snow melts during the summer months and skiing is then replaced by zorbing (a giant ball with room for 2 people which is rolled down a 200 meter hill), paragliding, parachuting and horse riding. 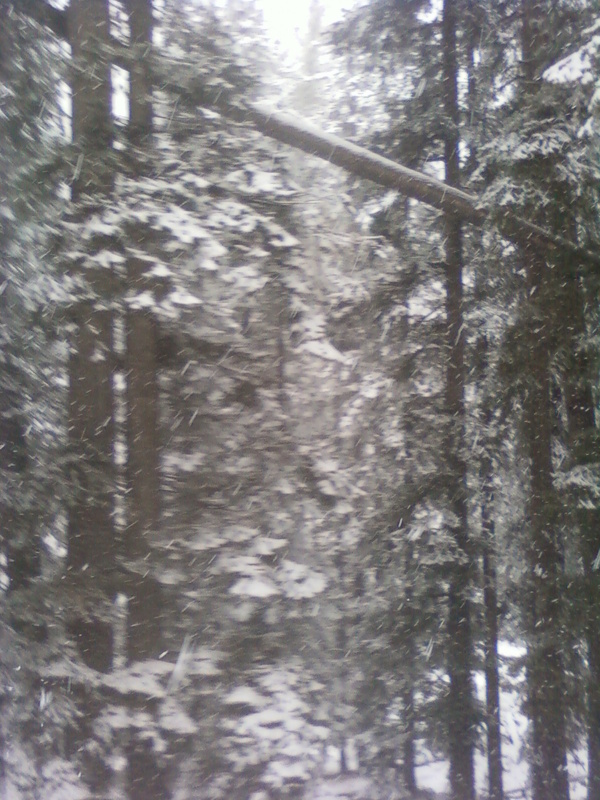 It is really an amazing place with it’s hills covered with white snow.